Do you see something odd there ? 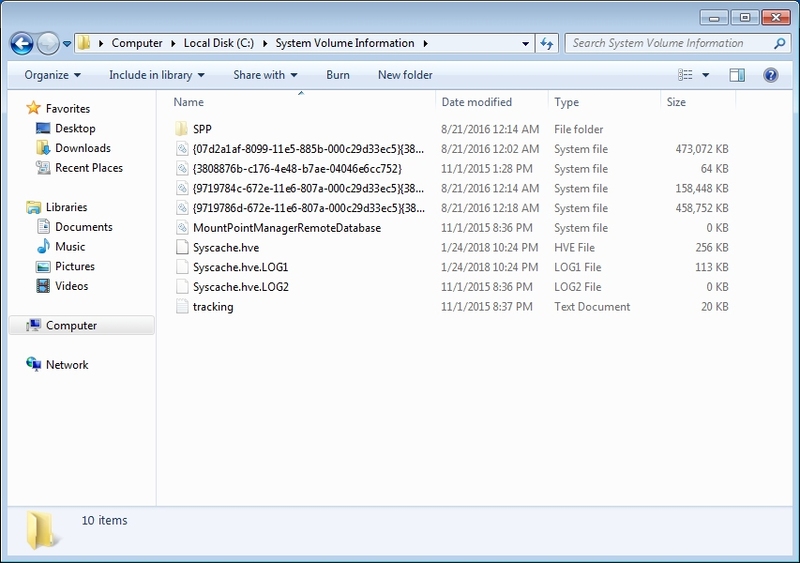 Check the size of your System Volume folder. Now , compare with the OP's size report above. Mine is 128 mbs . Have I seen this sort of thing in the past ?- yes. Thus the warning not to delete. I could delete mine with no thoughts whatsoever. I can recover from most "train wrecks"
7.7 Gb on drive C:, 340 Kb on drive D:, 20 Kb on drive E:, and 16 Kb on drive L:. Different computers, different configuration, there's nothing strange in that. Why not? If that's how the system works it should work the same way in all computers. No, that's either how the operating system works or not, the System Volume Information folder cannot used for something on a computer and for something completely different on another. I didn't tell him to delete the folder, did I? Now, could you really answer my question? Sounds like multiple OS upgrades. 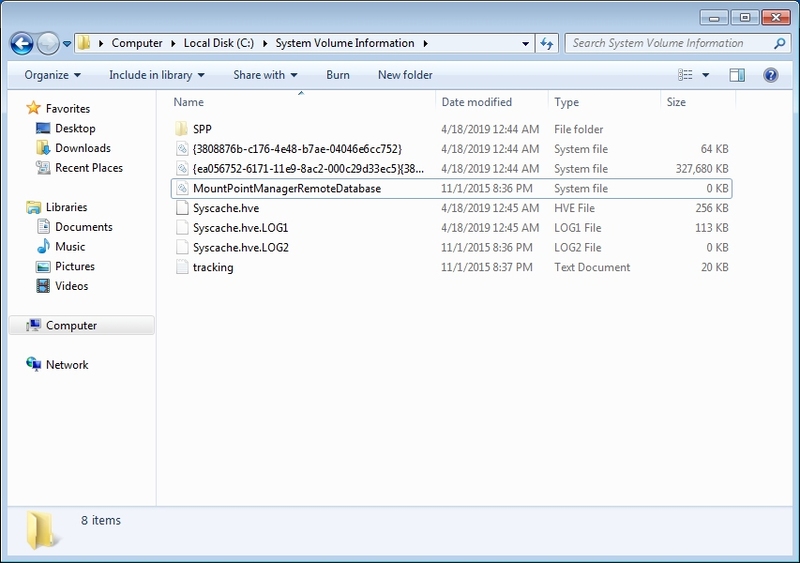 As I stated , I have seen cases where the System Volume Information folder has been tied directly to Track 0 and the recovery partition causing the folder to show basically a virtual replication of the HDD . The size stems from that. One way to check is just going into disk management and checking drive size , used , and free. Are you really missing that 7.7 Gb ? 159gb would be the approximate equivalent of 39.75 Windows installations. What other explanation can I give to you that I have not already ? I will give you that . I end this here . Well, saying "I have seen cases" is not really an answer. 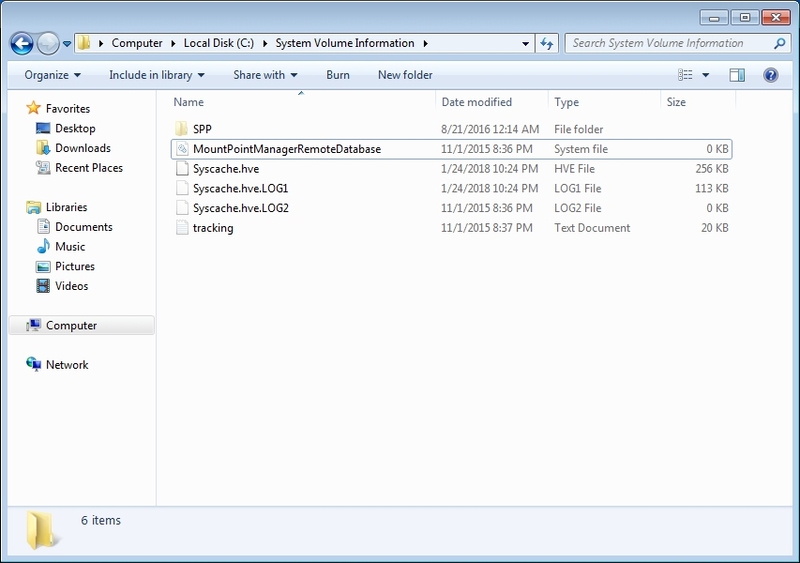 The real use of the System Volume Information folder is to hold the restore points and information about executable files. Restore points, yes, strange ideas about folder reproducing the file system, I don't think so. PS: you can define how much of your disk is used to store restore points, so a larger percentage of disk space may be used for restore points. One could install 40 VMs (running various NOSes) and actually have a System Volume Information folder of 159Gb. 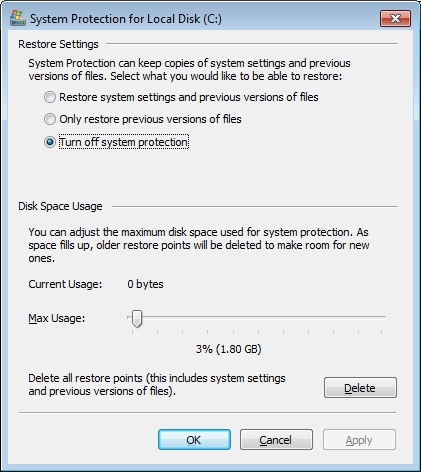 You only need to allow enough disk space for restore points and make several of those. 10% of a 2TB disk allows 200GB of restore points. If you are new enough to computers , and have to ask a question such as the OP, my answer is always no. I may give the worst case scenario. I could have went into a deep problem determination with the OP. Do you agree or no ? Is it truly better for me to tell someone a proper method , or lead them to find out on their own ? There's no need to guess, it's a system folder created by Microsoft operating systems since Windows 7 (if I'm not mistaken). I agree, that's why I posted my screenshots, to show that doing it the right way we can free that space. By pointing them in the wrong direction, like you did when you said that "The entire pointer system to each and every file on the hard drive is located in the System Volume Information "folder"" and that "The folder is 0 bytes due to it being stored on Track 0 of the HDD .The folder itself is a "virtual folder""? And I do have to sleep, it's getting to late here, I have to get up in less than 4 hours.